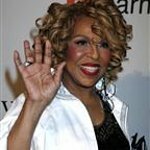 Legendary singer and songwriter, Roberta Flack, will entertain guests at the Education Africa Achievement Awards for Africa gala on Monday, June 3, 2013, at the Mandarin Oriental Hotel in New York City. The Grammy Award winning Flack, who is best known for a string of hits like Killing Me Softly With His Song, Set the Night to Music and The First Time Ever I Saw Your Face will give a special live performance at the event which will honor four distinguished individuals – Professor Jonathan Jansen, Vice-Chancellor and Rector of the University of the Free State; Geoff Rothschild, Head of Government and International Affairs (and former chairman) of the Johannesburg Stock Exchange; Ndaba Ntsele, CEO of Pamodzi Investment Holdings; Teresa Clarke, Founder & CEO of Africa.com and co-founder of Student Sponsorship Program – who will be recognized for their work and achievements in championing education in South Africa. The awards are being hosted by Education Africa and Brand South Africa . Education Africa is a non-profit tax exempt organization which is headquartered in Johannesburg, South Africa and has registered offices in the USA, Austria and the UK. Brand South Africa is a publicly funded trust with trustees appointed by South Africa’s president. It works with partners in and out of government to see that South Africa’s value proposition as a place to do business, invest in and visit – and from which to source products, ideas and inspiration – is fully appreciated.